PricewaterhouseCoopers (PwC) approached Wetpaint to raise brand awareness and generate traffic to their website around the Budget Speech 2016. 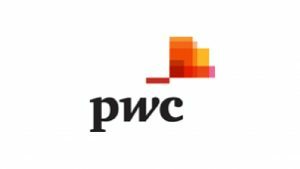 The result of the campaign was to achieve recognition for PwC as the leader in all things Budget and generate downloads of the Tax Card produced after the Budget Speech that afternoon. Therefore, the campaign was only a single day – as 24 hours after the Budget Speech, it would be old news. 702 and Cape Talk – ran Live reads and 30Sec spots driving listeners to the predictions videos for different business sectors, to ensure they were prepped for the aftermath of the Speech. Social Media platforms kicked off the same campaign on Facebook, Twitter and Linkedin. A total of 322 158 impressions and 3 100 clicks were served over the Budget Speech period across the PPC and PPV campaigns (display banners, AdWords and Video). A total of 1 964 058 impressions were served over the Budget Speech period across IOL, News24, Fin24, Financial Mail and Money Web . 736 026 unique browsers were reached across the sites over the 4 day campaign period. The new strategy outperformed itself with the brand trending on the day. The website hit record sessions with 21,448 downloads for the day of the Tax Card.